In the continuing effort to develop knowledge for empowering communities, particularly regarding the sustainable urban regeneration of the inner core of Manila, this paper discusses a community-based theoretical framework and its correlation to the urban development strategy of the recently approved Comprehensive Development Plan of Manila and the resulting Land Use Plan and Zoning Ordinance. This paper highlights the Planned Unit Development (PUD) Approach that was introduced and defines its objectives, nature and the processes developed for its implementation. An important concern of this paper is the positive impact of this planning tool on the engagement of communities and stakeholders, and its further refinement. The output of a Barangay Development Planning initiative in the Hidalgo Area serves as a case study in the initial implementation of the Manila PUD System. 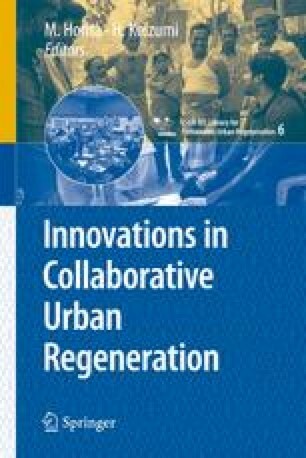 This paper aims to contribute to the mainstreaming of the community in the planning and management of their area and to the facilitation of community governance that can be a building block for sustainable urban regeneration.